Home » Psychic » How Accurate Are Fortune Telling Methods? How Accurate Are Fortune Telling Methods? When we’re seeking to have our fortune read, we often have many choices of method. The question often gets asked which ones would be the best to use, and how accurate they are. In this article we’ll give you the best options available. Throughout the world, there are literally hundreds of different varieties of fortune telling methods. From the I Ching of the distant east, the European Tarot, and the Tea Leaf reading popular during the Victorian era, all cultures have, at one time or another, attempted to develop usable methods for discerning the future. The accuracy of any given method is primarily based in the form of divination, and the questions you have to ask. Some methods are far more beneficial in dealing with broad questions and long term results, while others are best utilized in determining the near future and immediate questions. I’ll give you some guidance about which to select. We’ll start with Astrology, one of the most popular methods of divination. The very nature of Astrology, with it’s basis in the movements of the stars, sun, planets, and moon, lends itself to large sweeping strokes of time, and the subtle results of long term events. Even the cycle of the moon takes nearly a month to complete, and the cycles of the sun and stars can be immeasurably longer. This, to the mind of this writer, makes Astrology most appropriate to the concerns of entire years, or the span of a lifetime. While I acknowledge that one can get daily horoscopes, it’s important to understand that the subtle movements of the bodies involved in those time periods do not draw much distinction between one day and the next. Therefore if you are planning for a career, a marriage, college, or plans for the year to come, this is your selection of choice. It is far less effective for getting information on what’s going to happen this evening. You can find the influences in the air, but the stars concern themselves with the processes of the entire universe, and our place within that is quite small on a day to day basis. The next one we’ll talk about is the Tarot. The Tarot are far more concerned in their very nature with the day to day lives of people. They get into the psychology, the surroundings, and are able to very clearly focus on an individual and the influences around them in their life. Additionally with the abundance of possible spreads, from single cards to elaborate ones including thirteen or more cards, the ways of honing down the information are much more varied. Tarot is best if you are wondering about the occurrences of the next week, month, or year. They are also deeply concerned with people and situations. So if your concerns are for the specifics, then again these can be quite helpful in giving you a narrower room, focusing on the events within an office. Further, since you don’t need to know all the birth information of everyone in the office, the Tarot can elaborate on those influences. The last one is more of a ‘type’ of divination than it is a specific variation. Runes, whether they be Witch stones, Norse casting runes, or the Celtic Ogham, are all exceptional at snap decisions and information needed to be effective and relevant in the immediate future. Whether to go out tonight, how to answer a particular question, or whether to take a job can be effectively answered by this method. They will tell you the influences of a specific situation, and let you know the long term results not specifically, but they will tell you if disastrous elements are implied in the decision. There are a myriad of other forms of divination forms available, all with their own strengths and weaknesses. 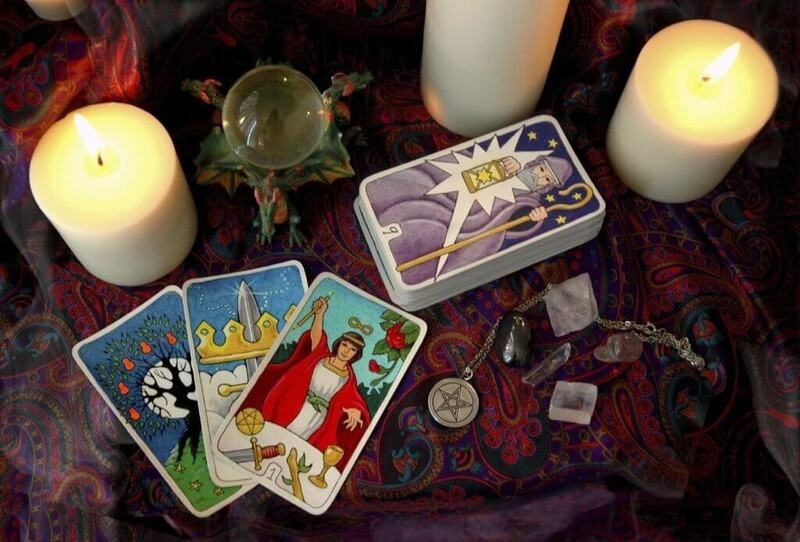 I encourage you to explore your options thoroughly if you intend to use divination as a frequent method of guidance. It is also important to understand that while all forms can be used to answer any sort of question, a variety of methods will lend you options, and different points of view. Happy Divining! Next How Do I Summon A Dragon Familiar?